Mr Leon Taylor: SICKELODEON - Series one. I love animation, still do a lot. 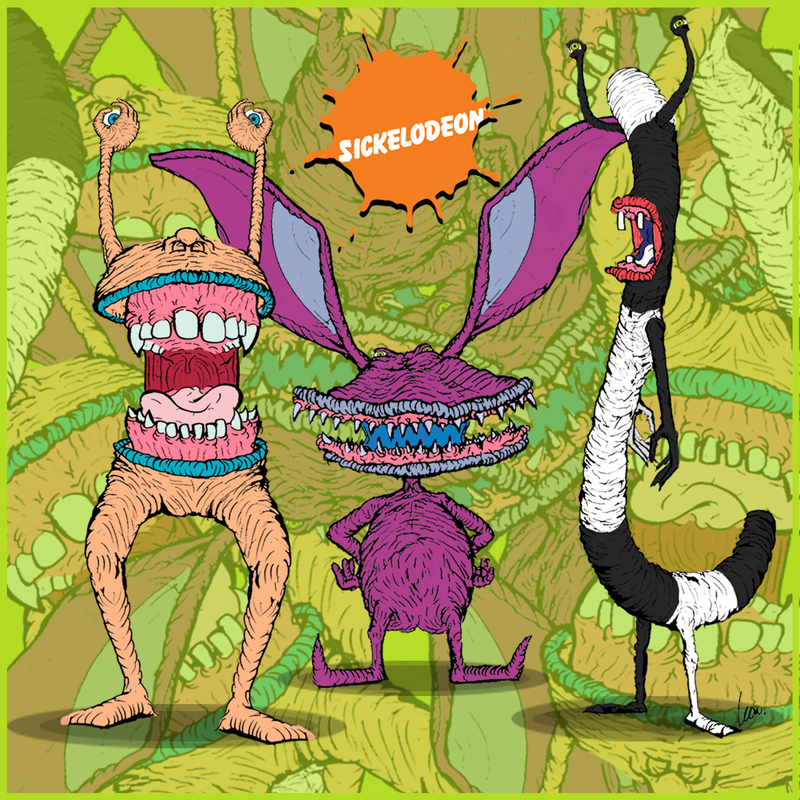 But when I watched these older shows, they always looked much more disgusting than the original design. These characters are well designed. So upsizing them in the gross scale was going to be super fun. 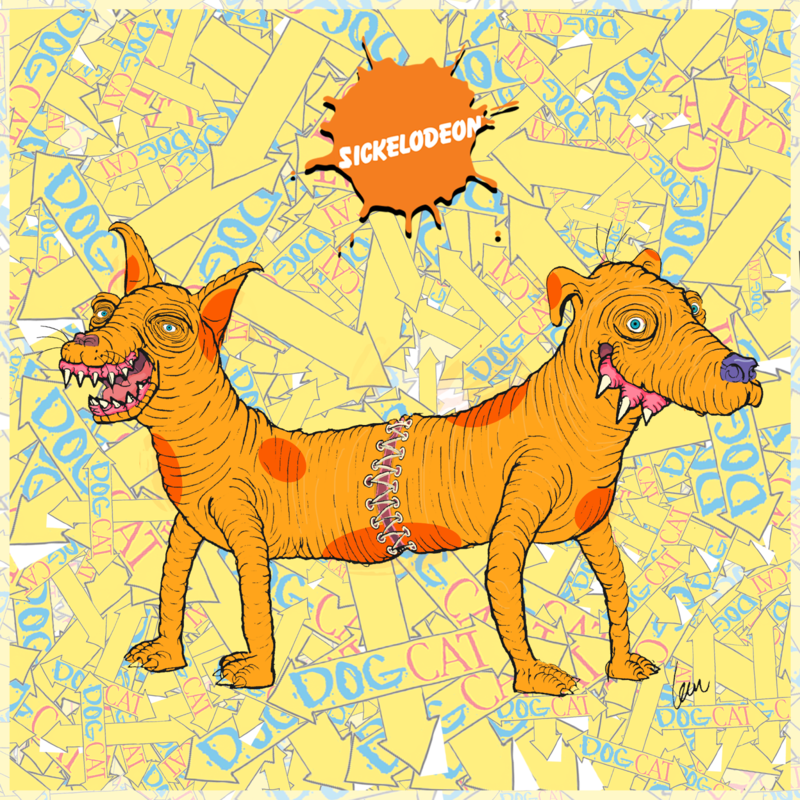 Introducing series one of my Nickelodeon based series, SICKELODEON ! 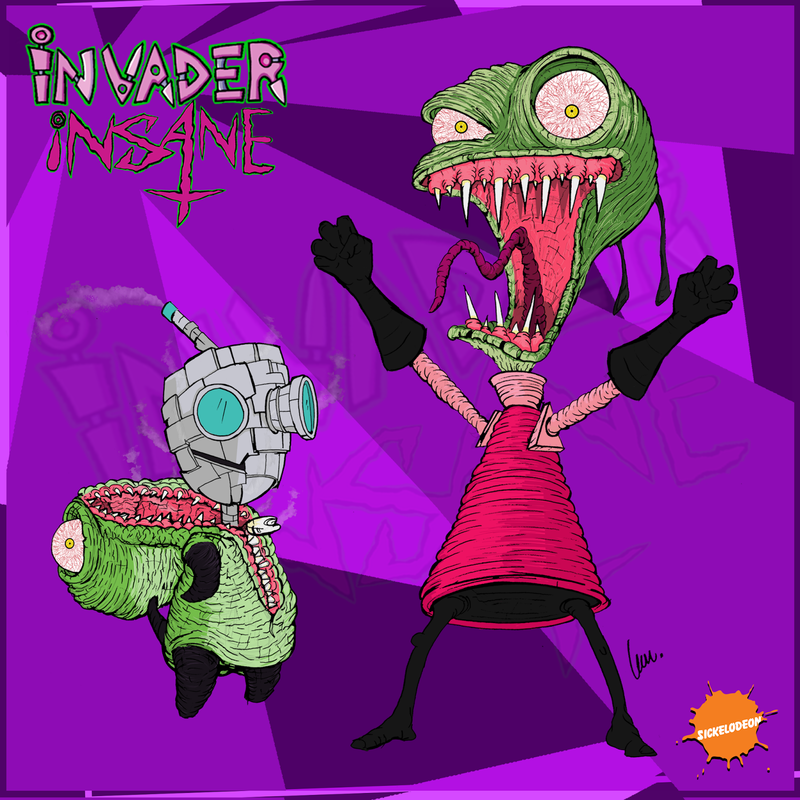 Each installment is planning to be more putrid and hilarious than the last. I put it out to my Facebook followers who they might want to see. The response was large and I could then let my pencil do the talking. Based on the feedback these are the set of four with the first nine characters. I have three of the four prints already lined up for series two! With seven exciting, gross characters so far. 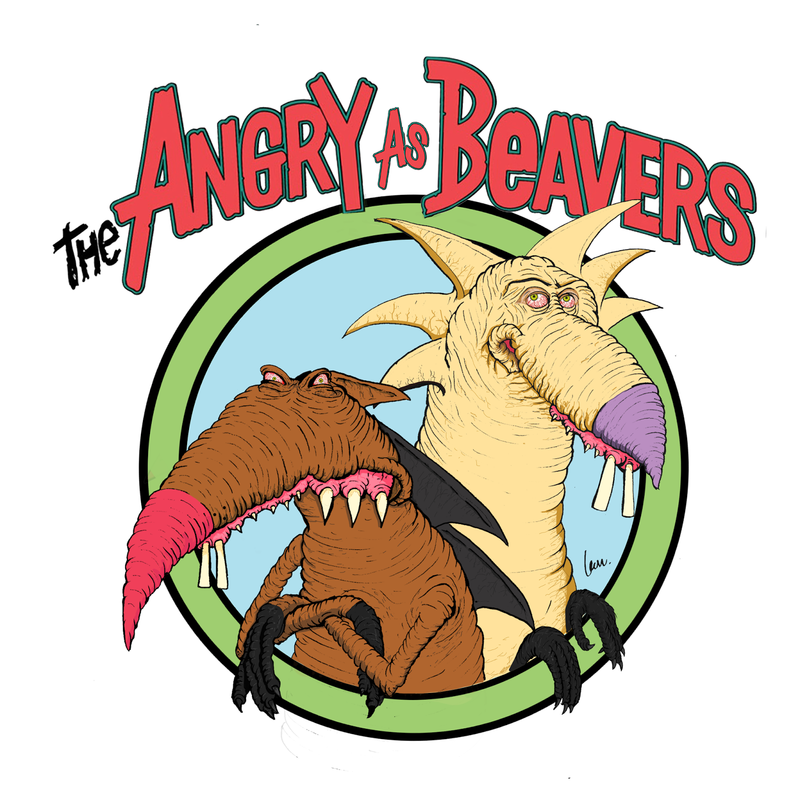 The Angry Beavers - Upsized to SICKELODEON - THE ANGRY AS BEAVERS.